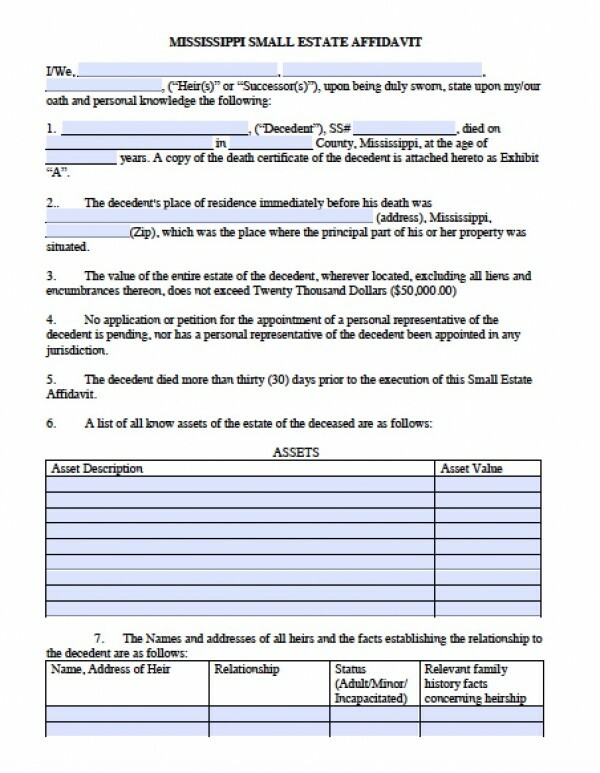 According to Mississippi’s statutes Sections 81-5-63, 81-12-135, 81-12-137 and 91-7-323, the small estate affidavit allows family or other successors to apply for ownership of a decedent’s real estate. If the estate values less than $50,000, then successors may file the affidavit when 30 days have passed after a decedent’s passing. The value of the real estate includes any liens and encumbrances (such as mortgages). 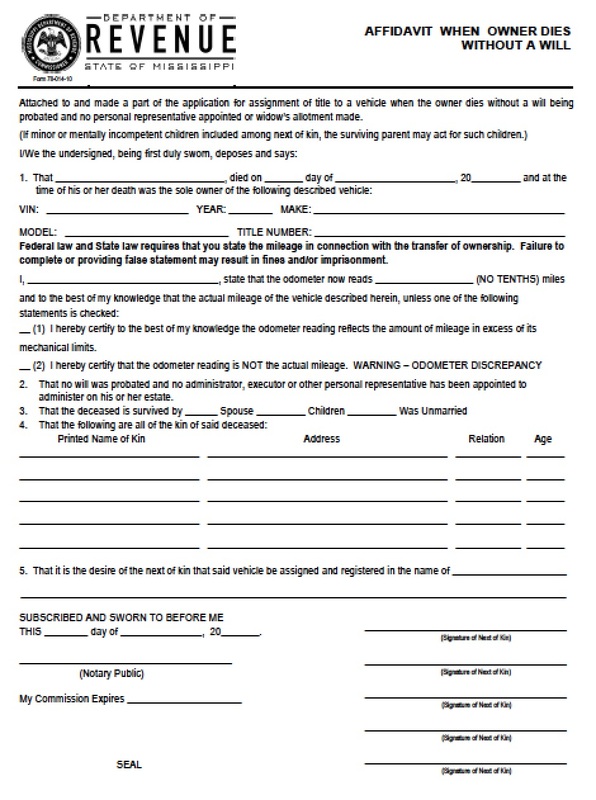 The small estate affidavit may be filed by a surviving spouse, followed by the adult (such as a step-parent) that minor children live with, then any adult children, and finally, either parent of the decedent. 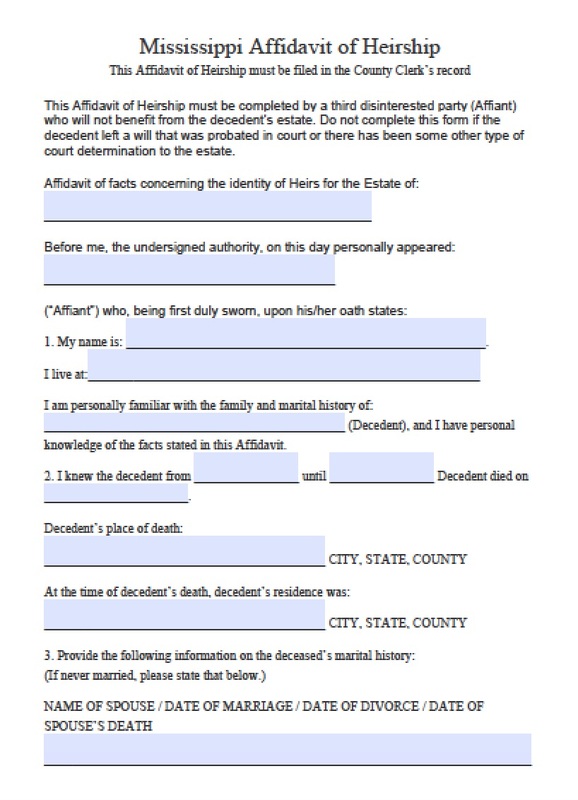 Step 3 – Obtain a notarized copy of the death certificate, and file the form with the proper clerk or courthouse.